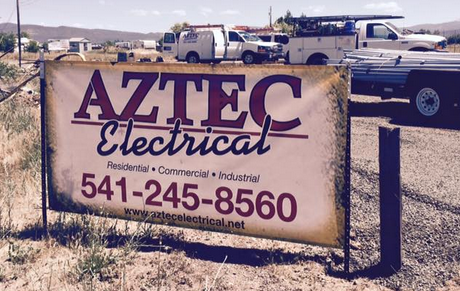 Aztec Electrical Services In Southern Oregon: Energy rebates - cash incentives: do you qualify? Energy rebates - cash incentives: do you qualify? Aztec Electrical has received Trade Contractor Ally status with the Energy Trust of Oregon. The Energy Trust provides cash incentives for energy-efficient upgrades to single-family and multifamily site-built homes. In 2009 the Trust helped over 35,000 homes in Oregon complete improvements and get cash for projects. This projects were diverse and included everything from insulation and duct sealing to high-efficiency water heaters. Call us today, (541) 245-8560, to get more information. Many upgrades are eligible for state and federal energy tax credits. Contact us to learn how you can qualify for energy saving - cash incentives. The electrical incentive programs include new manufactured homes, as well as tips for renters, assistance for condo owners, and multifamily rental property improvements. Send us an email for more information.